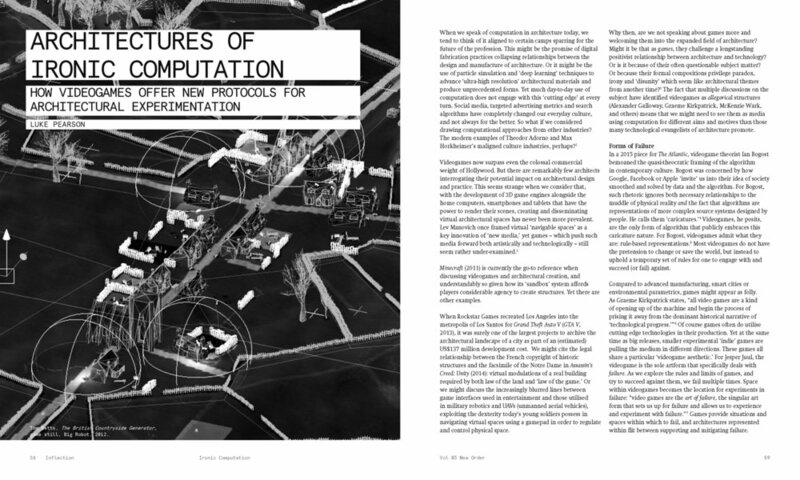 Inflection Journal: Architectures of Ironic Computation — Alephograph: Architecture, drawing and video games. Peer-reviewed article in Inflection: Journal of the Melbourne School of Architecture. The paper examines video games as an alternative model of architectural computation that emphasises disunity and irony as structural methods. 2016.